It’s really awesome to be with you this afternoon and to welcome you all to California and the Bay Area. And thank you for the thoughts, prayers, and generous donations from your communities around the country to support our neighbors in the North Bay after the terrible fires of this past month. I have felt so fortunate to participate in this network over the last five years, as I’ve been on my journey leaving the school district and a foundation role to become an advocate and organizer — or Dad-vocate as I now think of myself — our kids Maya and Theo are ten and seven, and in school in Oakland. PIE conferences and this network have provided invaluable insight, inspiration, and friendships which have fueled GO’s city-based organizing and advocacy in Oakland and West Contra Costa County here in the Bay and now in Fresno in the Central Valley. I’m committed to continue learning with you about state-level advocacy as GO partners and grows to serve additional California communities and engages our networks of families, educators, and community allies to influence education policy and politics statewide here in California. 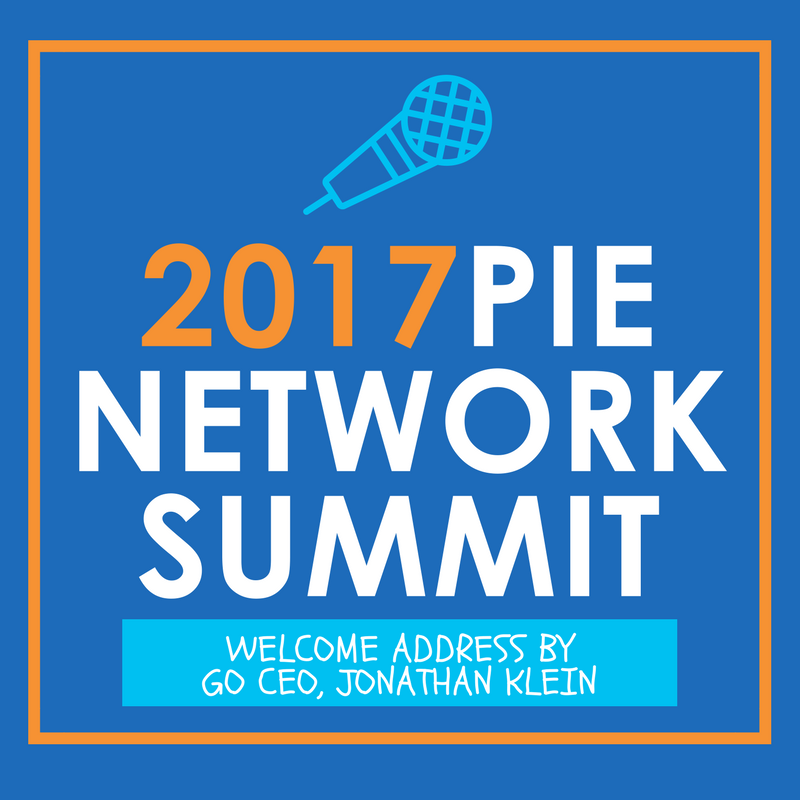 As we kick off this summit, I’m excited to welcome you — and to use this opportunity to share a reflection in three parts: one brief story, a related fear, and a hope for our time together this week and for our PIE network. The story takes place here in California — where one in eight of our nation’s children attend public school and where we have more children growing up in poverty than any other state. California is also a place where one in two of our children reads at grade level and only one in three does math at grade level. That is who we are as Californians. The story I want to tell you is about a moment I had three years ago, when I was volunteering in my daughter Maya’s second grade classroom. This was at an Oakland Unified district school about 14 miles away from here where Maya is now a fifth grader. That year, President Obama and Secretary Duncan recognized the school as a National Blue Ribbon award winner — one of our nation’s finest. There was a trip to DC, photos in the newspaper, and well-deserved celebrations on campus. I was at school volunteering for the one hour of the week when students were allowed to use the classroom iPads. I remember sitting there waiting for the teacher to complete direct instruction in the front of the classroom, observing how the children sat and watched her (or didn’t), the student work and posters on the walls, the day’s schedule posted on the board — subject by subject in 15, 30, or 60 minute increments, how she explained the directions for the activity. I remember the feeling washing over me — what was hardest was that so much of what was happening — how the teacher interacted with the students and students with each other — was so similar to what had happened in my second grade classroom in a California public school more than thirty years earlier. Thirty years. In many ways, the familiar was comforting. But as I sat there, I was gripped with foreboding and real fear as a parent and advocate — discomfort manifesting in my neck, my arms, and my back. My daughter and our family have so much gratitude for the opportunities Maya has had at this school these past five years. But what if — and this is the fear — we — parents and educators, advocates and electeds — are woefully behind in aligning learning and schooling to the rapidly evolving social, political, environmental, and economic changes in our society that will be our children’s to solve. When I was a second grader 35 years ago, the Berlin wall stood tall and we got our news from newspapers. Personal computers were mostly built by hobbyists. CNN was two years old. No iPhones. No social media. Disposable contact lenses didn’t even become a thing until 1987. Digital printing, self driving cars, and one-click ordering were the stuff of the Jetsons cartoons set far in the future. Millions of children still go school everyday under the assumptions that learning takes place best when distinct subjects are taught in ~60 minute blocks within groups of ~25 peers who were born within ~11 months of each other. That morning, I felt fear in my body that we might be spending too much of our energy on accountability or improvement within antiquated schools and archaic systems — or on stale policy ideas whose relevance has decreased and inadequacy revealed in our rapidly changing times. Fear that on our watch, we might not fulfill our responsibility to this generation and those to come, as our forefathers and foremothers did for us. And that morning — feeling this fear in my body — I was in a classroom of relatively affluent children knowing full well that the disparities are starker and stakes far higher in under-served urban and rural communities. So my hope for us, we humbly named Policy Innovators in Education, is that while we are together over these next three days and beyond, my hope is that we re-aspire to live up to our name and challenge ourselves to marshal the creativity and resources to craft solutions commensurate to the challenges of this moment. Our children, whether we are raising Democrats or Republicans, will be right to hold us accountable for our leadership and priorities in these rapidly changing times. We need bold, fresh thinking for what our schools can look like, and how they deliver excellence in places where opportunity has long been a scarcity. 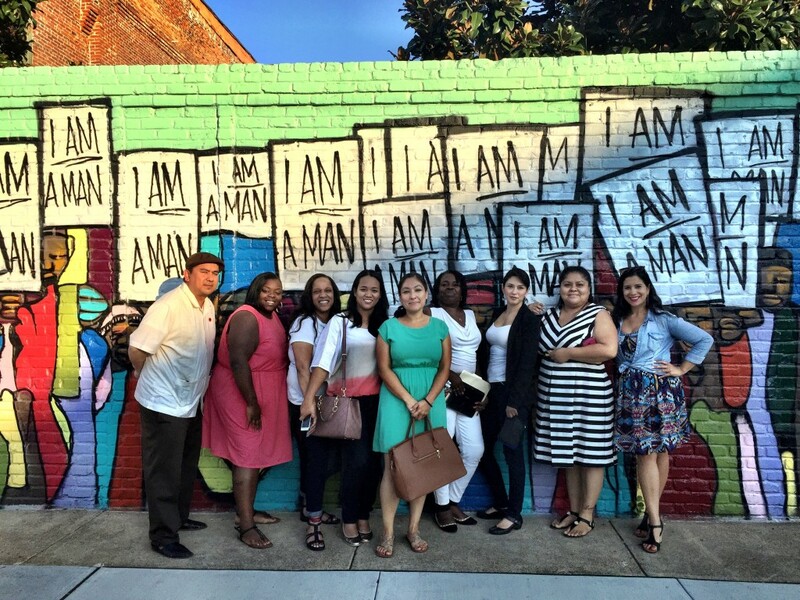 What would it look like to commit together to fundamentally shift how we think about education in the 21st century? In our every day more global economy, would it be practical to commit to public schooling that ensures our children are multilingual and culturally competent? How long will it take us to make computer and environmental sciences as accessible to students today as biology, chemistry, and physics in the previous century? Could we create stronger incentives to scale learner-centered practices and mindsets from models as diverse as Montessori, Summit, and Lindsey Unified? Could we make a bipartisan commitment to end racial prejudice in America, through a national K-12 curriculum that emphasizes the values of tolerance, brother and sisterhood, appreciation for cultures other than one’s own, and respect for our differences? What ideas would you add to this list? At this moment, our imagination, our capacity to weigh evidence about what works and what doesn’t, and our practice in the art of compromise may be our strongest assets as we stretch ourselves to create new solutions that meet the challenges of our times and the times in which our children will lead. I’m excited to be with you this week to explore what’s possible. Thank you, welcome to California, and let us, together, make the most of this summit.